Four years ago, I became very involved in helping a Syrian refugee, Leila. As a Resident Scholar in a program at a Brandeis University, I was part of its World Cultures group whose members are very diverse and support each other’s faith and work. I was going to make a presentation on the war in Syria when a Syrian woman, Leila, came to the meeting. She was almost finished with her work towards a Master’s degree and gave a presentation about her life that was devastating. When I knew she would be coming, I took out one of the three beautiful hand made pieces of Syrian silver that my grandmother had given to my mother. I took Leila out into the hall to give it to her where we were alone, then she burst into tears, and I held her for a long time while she sobbed. Leila and her family were fortunate to be allowed in the U.S. as refugees because refugee processing takes place overseas and the number of refugees admitted to the U.S. has fallen down to a fourth of the previous number. It was the beginning of my spending a great deal of time alone with her to hear her story and listen to her and share her private thoughts. Had I been younger, I would not have known what PTSD (post traumatic stress disorder) was or how to help someone in deep distress. Listening and giving affection takes time and effort, something an older person is well prepared for as life is filled with lessons we accumulate over the years. I knew that Leila was having nightmares and flashbacks of barrel bombs and missiles, and could see the dark circles under her eyes that spelled a lack of sleep. Like our soldiers who return from combat, these memories intensify and don’t go away. I got up early at 5 a.m. to start my readings for tomorrow’s class, but I checked the news in Syria and about refugees trying to find a safer place to stay in and I had eyes full of tears for the whole day. Heartbreaking news and the feeling of inability to do anything in this regards make my feelings even get worse. My heart is full of wounds, and in my mind. I can still hear the bombs, missiles, and feel the fear inside me, fear to lose my husband and son. I thought of suicide many times when I was in Syria, and thought of suicide again here because I am unable to do anything more for my family. I decided to take my son who was 18 months and go into the sea, either to live together or to die together. I wanted to be safe with him even in heaven. It is very clear that God was with us holding us with great mercy to come here and the miracle happened. To be able to share someone’s pain instead of turning away is a healing act. Often people fear vulnerability, but everyone is vulnerable in some way. Then there is a quality that is often invisible and that is inner strength. A person such as myself, can be physically frail, but have great strength in reaching out to someone in need and accompanying them. I am appalled to see Syria, a magnificent and ancient country, torn apart, a country where people of different religions were once respectful of each other; Ismaili, Alawite, which are branches of the Shi’a faith, Sunni, Druze, Hebrew, Yazidi, and Christian. We tend to paint Muslims with a broad brush and disregard the differences between them. Leila is an Ismaili so she doesn’t wear a headscarf. Also we do not think of refugees as physicians, engineers or like Leila, a professional with two master’s degrees and a high position in her country. I learned how smugglers treated the surging tide of refugees. A truck crammed with people was abandoned leaving them to die unnoticed. Women were raped repeatedly by the smugglers, and in Germany, the psychotherapists who treated them found that they needed to be treated themselves. Women and children refugees experience repeated trauma and abuse as well as facing socioeconomic disadvantages and discrimination. In refugee camps in Turkey, children are repeatedly raped and those outside the camps are working 12 hours a day in squalid conditions. In addition, although 99 percent of children in Syria once received an education, a whole generation of Syrian children is now deprived of education, which will have many unfortunate results. Then there are the appalling numbers. According to the United Nations Refugee Agency, (UNHCR); almost half of Syria’s population of 23 million people have fled their homes; 4.6 million left the country; and 6.6 are displaced internally. Such numbers make too many of us feel helpless and want to turn away. But turning away means that we are helpless. Reaching out to a small family, or to one person, as the Qur’an says, is a way of helping humanity. Leila’s spiritual resilience was both moving and a lesson about hope. When I met with Leila’s husband and son for the first time, her husband hugged me and said, “Since you have been my wife’s mother, I am your son.” Fortunately this family eventually became qualified to apply for asylum and was allowed to stay in the U.S. although it will take years for asylum to be granted. After four years, their son Ahmir is now in first grade, speaks English fluently and loves math. He is the source of Leila’s joy and I always hear about his many accomplishments such as his love of drawing, and learning to count at the age of three. Yet she continues to have nightmares about walking away from Syria with Ahmir in her arms, and suddenly he has disappeared. All I can do is listen and hold her hands. Over time, I have learned that her grandfather starved to death, that her cousin’s taxi was bombed. And she showed me the photo of her neighbor’s house, where the person who gave her away to ISIS lived. Also she told me that her house in Syria is now a wreck given the bombings. But for Leila and her husband there is also the matter of housing and jobs, which are very difficult to find given our attitude towards Muslims. She helps translating Arabic in various venues, but for very little money. Also she worries about paying rent for their tiny apartment. Since her husband is not a citizen, a larger amount of his wages are withheld for his yearly tax. In desperation, she showed me a folder about Lyft, thinking about being a driver, then telling me because her kidnapping by ISIS took place in her car, she is terrified of driving with strangers stepping into her vehicle. Our President has now put a limit to the number of refugees allowed to enter our country from 110,000 to 20,500 and is considering lowering it even more while Germany has admitted one million refugees. When he made that decision public, he did not reveal that in the past decade refugees brought $63 billion in government revenue more than they cost. Also, the President has limited the family members that are able to join the refugees such as grandparents. 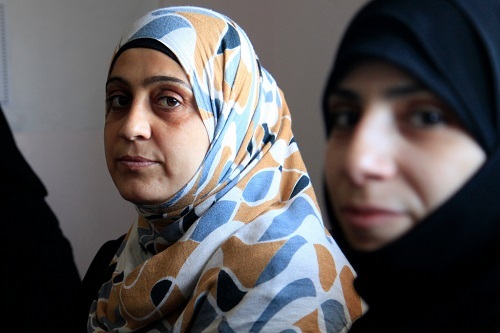 Leila worries about her mother in Syria who does not have enough to eat, and about her extended family. The President has made a ruling that refugees from six Muslim countries are no longer allowed, suggesting that we should be wary of Muslims and clearly opening the door to hatred. Of course these countries include Syria. And we must understand the depth and scope of hatred. In order to learn more about the result of the President’s decision and speeches, I subscribe to CAIR, the Council of American Islamic Relations and receive their newsletter. So far, I have accumulated 17 pages of articles about the mistreatment of both mosques and Muslims such as the deliberate shooting of a Muslim woman and defacing mosques with neo-Nazi symbols. The President seems to have forgotten that our country is multicultural, and his own family originally came from Germany and his wife is Slovenian. Finally, one way I have of responding to prejudice against Muslims that has become rampant throughout our country these days, is to write poems that celebrate them. For instance, I have written about the White Helmets foundation in Syria, a large group of men who run towards the bombings, not away from them so they can rescue people who are crying out for help from shattered ruins, and they do not make distinctions between these people whether they are part of the government or Nusra. The head of that foundation came to the U.S. to receive an award, but was turned away at the airport, a painful event that led me to write a poem. Given the atmosphere of hostility towards Arabs and Muslims, I was unable to publish those poems in the U.S., but had a number of them published in Sukoon, an Arab themed online magazine. However, the most important thing for me in creating these works was to give the people they portray a presence in a world that turns away from them, to celebrate the lives of people who experience oppression, are marginalized and misunderstood, yet live with an extraordinary courage. 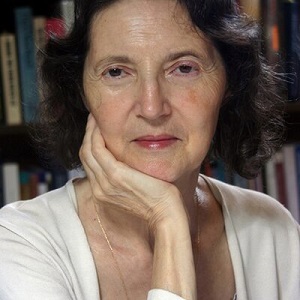 Marguerite Guzman Bouvard was a professor of Political Science and a Director of Poetry Workshops at Regis College, and a writer in residence at the University of Maryland. She is currently a Resident Scholar at the Women’s Studies Research Center at Brandeis University. She has received fellowships from the Radcliffe Institute for Advanced Study and the Wellesley College Center for Research on Women. Marguerite’s latest book “Social Justice: The Power of Compassion,” addresses some of the most pressing problems facing our country today: the environment, immigration, racism and criminal justice. As a writer, she has published several books of poetry and numerous non-fiction books in a variety of fields. She has received grants for her poetry from the Puffin Foundation and the Danforth Foundation and has won awards for two of her poetry books. She has been a writer in residence at the University of Maryland and has had residencies at the MacDowell Colony, the Yaddo Foundation, the Djerassi Foundation, the Leighton Artists’ colony at the Banff Centre and the Virginia Center for the Creative Arts. Her poetry has been widely anthologized and published in literary magazines around the world for she considers herself a world poet. Marguerite’s books are available from Amazon.com via the attached link.